The Earth horse is the least complicated and easiest to train. He wants to please and he does not get upset over much of anything. The Earth horse loves to eat so food treats or rewards that include grazing time will keep him happy and wanting to learn. 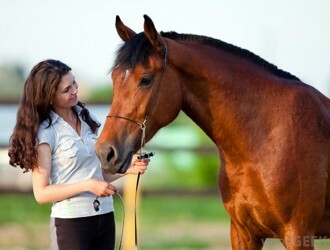 The Earth horse enjoys companionship and enjoys being groomed and petted. The Earth horse is even tempered and consistant so any unusual behavior should be explored for possible pain issues. Ulcers can be a problem if the Earth horse is put under too much stress. An Earth horse's temperament does not like to work hard but he will be willing to work long hours if the work is not strenuous. This type horse can work all day carrying small kids around at a horse show and as long as he gets some treats he will do this willingly week after week, year after year.